Are you ready for the possibility of an Ebola pandemic that will interrupt the day-to-day life of most Americans? You can read the entire document HERE. As well, the state department has purchased 160,000 Ebola Hazmat suits. The checklist is a directory for hospitals and medical personnel. The CDC’s Ebola virus page is HERE. The World Health Organization and other agencies have gone to great lengths to avoid releasing information that might cause a panic. You can bet that if they’ve gone so far as to issue this warning, things are about to get real. The state department has purchased 160,000 Ebola Hazmat suits. If the government is getting ready for an outbreak, shouldn’t you get ready too? This Ebola thing could go bad in a hurry. And by bad I mean that it has killed well over half of the people who’ve contracted it in West Africa. Not only do we have the possibility of Ebola to contend with, but several varieties of plague are also on the uptick over the past couple of months, something that has been put on the back burner due to the fear of Ebola. A city in China was locked down last week due to the Bubonic Plague and the Black Plague caused one man to die and 3 more people to become ill in Colorado last month. If the situation hits close enough to home that you decide to go it’s time to isolate yourselves, the rules to this are intractable. No one goes out. No one comes in. Today, Slavo’s prediction came true with the release from the CDC. 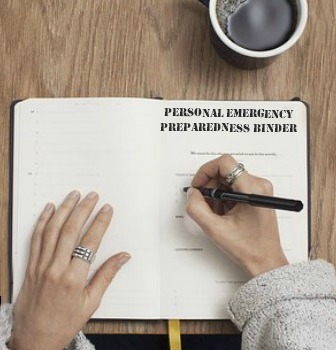 Right now, before panic ensues, you need to ensure that you have everything you need to survive as though the world we know has ended. You need to be prepared to stay in your home for weeks, if not months. You need to be ready for a potential disruption of services. 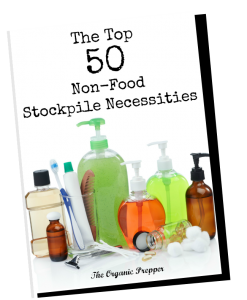 Best case scenario: You get these supplies, the outbreak never occurs, and you can dole them out into your regular usage or stash them with your prepper stockpile while snickering at the crazy preppers. Worst case scenario: You read this warning, you do nothing, and then the outbreak occurs. You realize that the prepper folks aren’t so crazy after all. But by then, it will be too late to stock up. If a family member becomes ill, Tess Pennington of Ready Nutrition recommends building a sick room that can be used to isolate suspected infections or even to be used as a quarantine/observation area for friends and family who may be coming to your home as part of your group lockdown plan. Don’t wait until it’s too late. By the time the CDC gets around to offering checklists to the rest of us, items like these will be in short supply. If you are unprepared, you’ll be at the mercy of organizations like FEMA, who will be doling out water bottles and MREs to those who are likewise hungry and thirsty.